Posted on 29, March 2016 by EuropaWire PR Editors | This entry was posted in Aviation & Aerospace, Italy, Transportation & Logistics and tagged AgustaWestland, AW189 super medium twin engine helicopters. Bookmark the permalink. 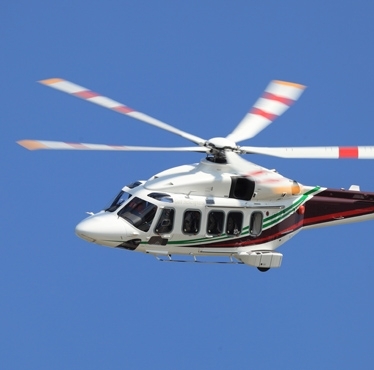 ROME, 29-Mar-2016 — /EuropaWire/ — Finmeccanica announced today that the fleet of 26 AgustaWestland AW189 super medium twin engine helicopters, in service with customers across four continents, has exceeded 10,000 flight hours. The milestone, achieved less than two years after the first aircraft delivery, marks a major commercial and operational milestone for the most successful helicopter in the all-new super medium category, aimed at meeting long range, large capacity requirements with unprecedented levels of cost effectiveness compared to larger and heavier helicopter models in the market. The AW189s already in service have performed their missions across various geographies including Europe, the Middle East, Asia and North America with leading customers in UK, Denmark, Malaysia, Qatar, United Arab Emirates, Vietnam and USA with high availability and operational effectiveness. The AW189 has also established itself as the bestselling aircraft in this specific class among competing types, with over 150 units sold so far,including firm orders, options and framework contracts, to over 20 customers in 14 nations. Also, the new helicopter features today the largest number of dedicated configurations in its market, covering various roles including offshore transport, search and rescue, executive/private transport, firefighting and disaster relief. Additional AW189s are to be delivered in several other countries including Russia, China and Brazil. The AgustaWestland AW189 8.3/8.6 tonne helicopter has been designed to meet the latest and most stringent certification, safety and operational standards. Thanks to its high performance, cabin space, advanced technology and industry leading support and training solutions is the most cost effective helicopter in its class. The AW189 features an icing protection system to operate in all-weather conditions and a 50 minutes ‘run-dry’ capable main gear box allowing unparalleled reliability and safety. AW189s are assembled and delivered from the Finmeccanica Helicopter Division’s facilities in Vergiate (Italy) and Yeovil (UK). The AW189 is part of the AgustaWestland family of new generation helicopters that includes the AW139 and AW169 models, which possess the same high performance flight characteristics and safety features as well as sharing a common cockpit layout, design philosophy and maintenance/training concept. This commonality will allow more effective operations for customers operating helicopter fleets across the 4 to 9 tonne categories.